Well, what a hectic couple of weeks we’ve had. So much jubilation and partying. Not only was the Queen celebrating 60 years on the throne but one of us was also celebrating his 60th birthday…and what a birthday – surprise parties, surprise cakes (all in the allotment theme, of course), surprise trips to Budapest, loads of presents and cards. The list goes on and the surprises aren’t all over yet. He may not have had a soggy wet pageant down the river Thames laid on for him but everyone had certainly ‘pushed the boat out’ to make his birthday a time to remember. As far as the plot goes, the last couple of weekends have been hectic. 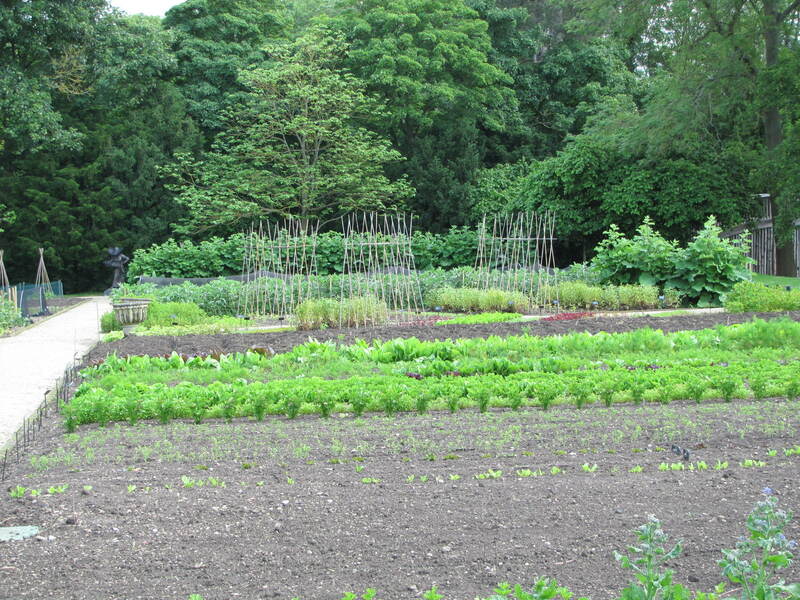 We’ve tried to get everything finally planted out and this rain has made weeding a nightmare. We’ve spent many hours bent over solemnly picking out weeds, and that blasted bindweed, until we’ve felt like we’ll never be able to stand up straight again! 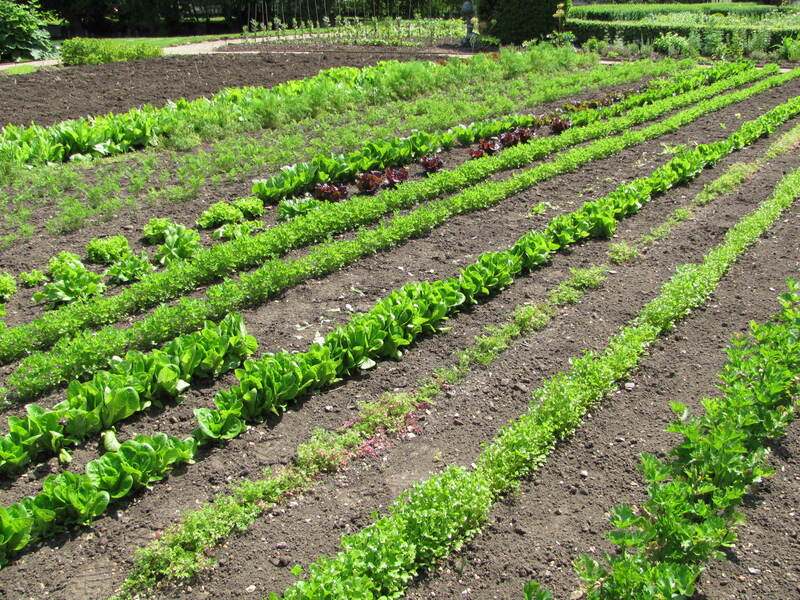 Our hard work has paid off though as the plot is now looking excellent. 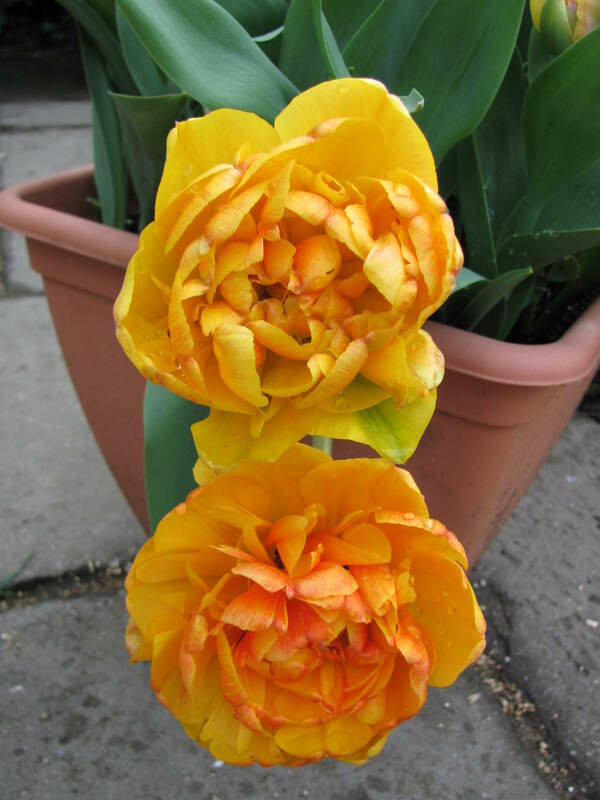 I think we can declare it full – there’s not an inch of space left to plant anything else. 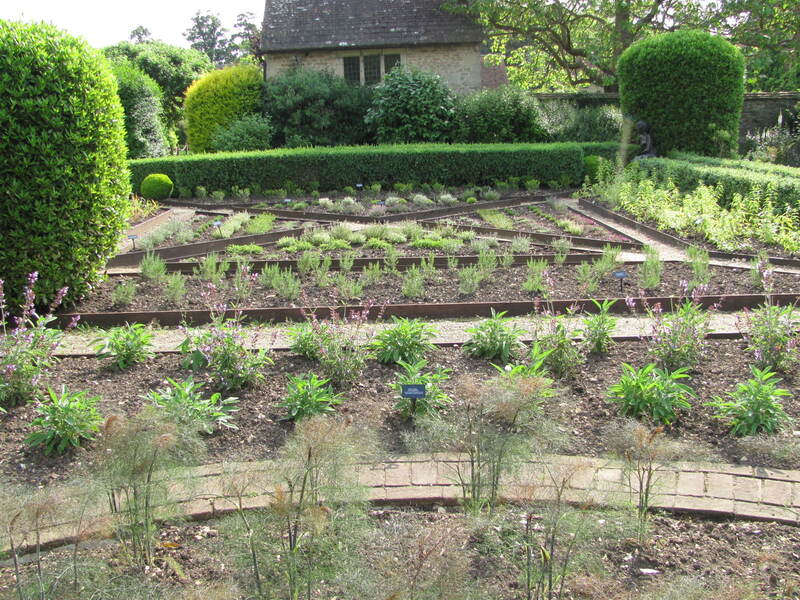 The cut flower beds have been all planted up and are doing well. There are three varieties of Cosmos, some Sweet Rocket, Zinnias, Calendula, Love Lies Bleeding, Stocks, Scabious, Echinacea and a number of other things. Why did we need so many dahlias? Who knows, but now they’ve taken up all of the remaining space so I’ve now declared the cutting section full. The good thing about the dahlias is that they have won us a number of prizes in local shows in the last few years, so hopefully this year we may be in with a chance of a bit of silverware! Fingers crossed. 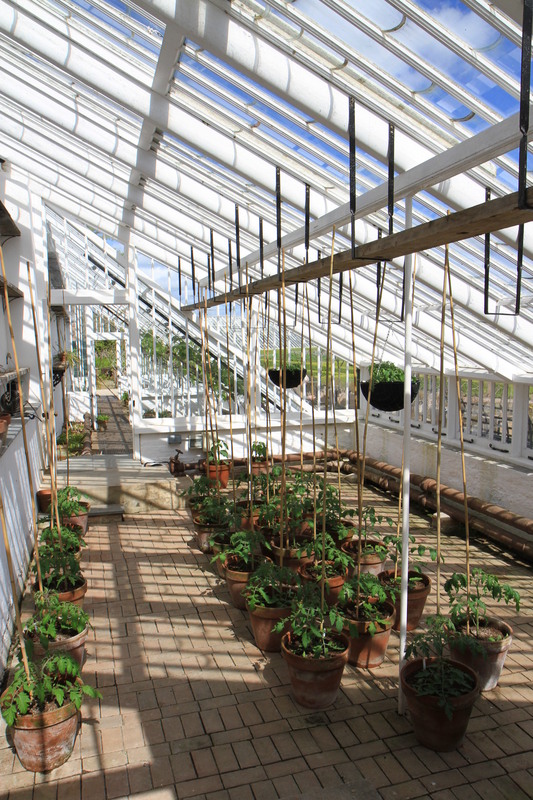 The greenhouse has also been transformed – all the chillies and peppers have been planted, along with a couple of melons and a cucumber. 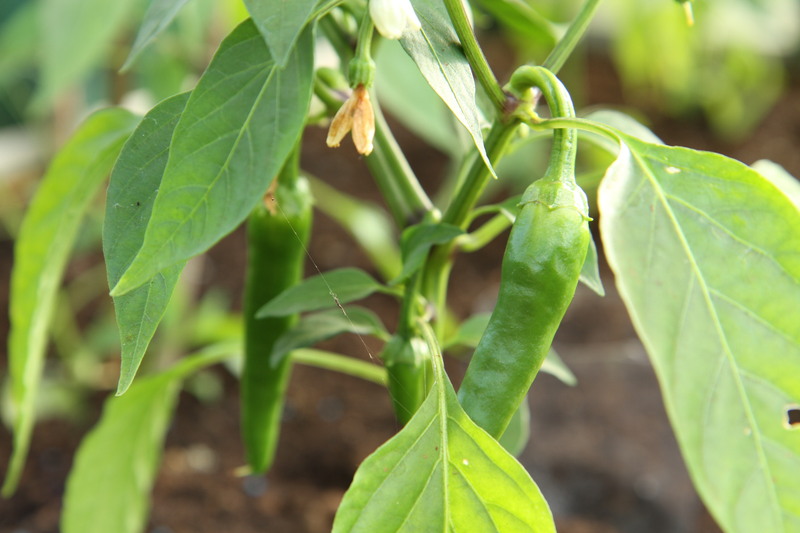 We’ve even got a few chillies already. 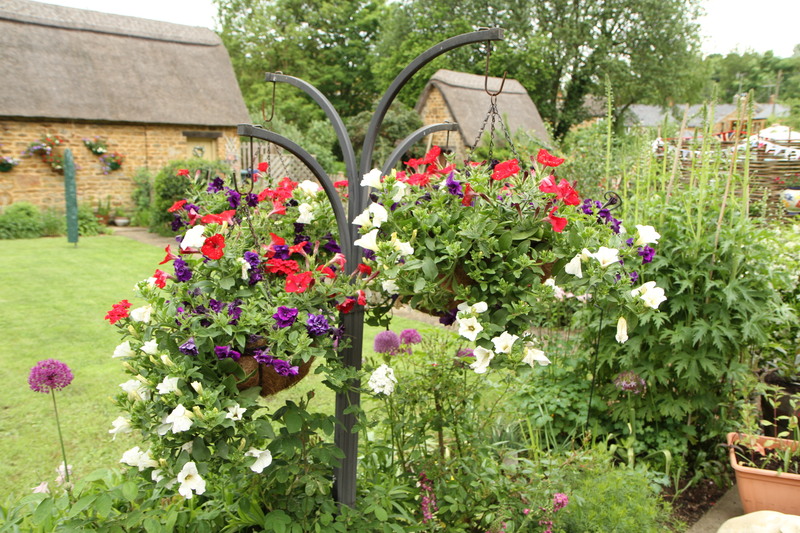 The only disappointment this weekend was the weather which did put a bit of a damper on the village Open Gardens day on Tuesday where 14 different gardens plus the allotments were open. 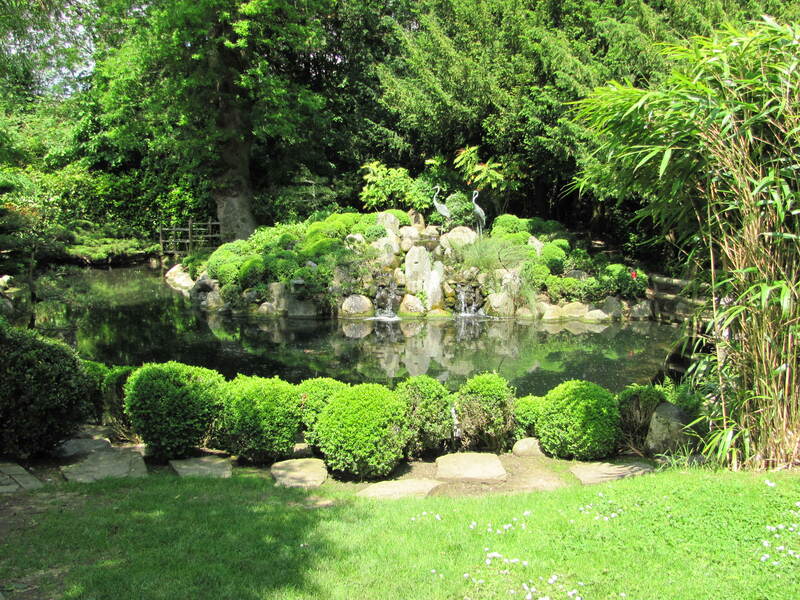 There were some absolutely lovely gardens. We’ve lived in the village for four years and had never realised there were such wonderful houses and gardens hidden away behind gravel drives and up little lanes. It’s just a shame the sun didn’t come out to attract a few more visitors. 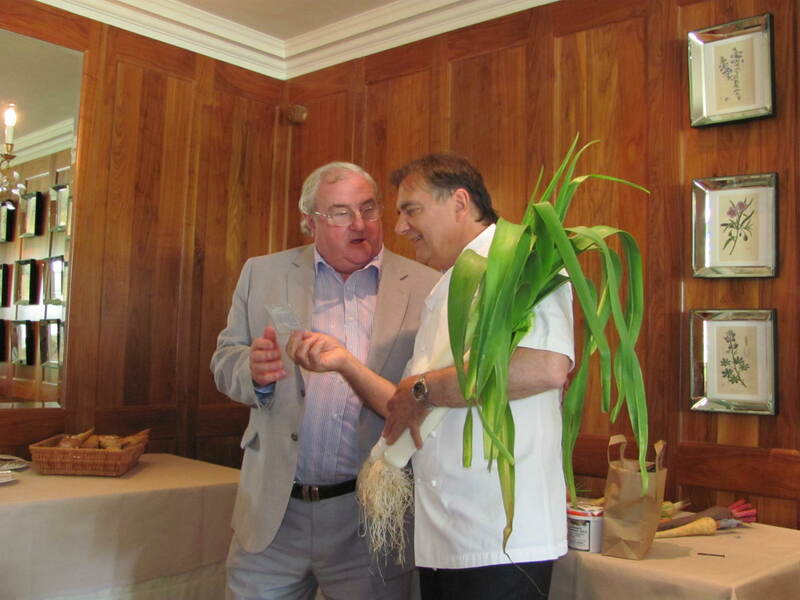 That said, a jolly time was had by all and it was all for a worthwhile cause – Marie Curie. Let’s just hope the rain stops soon so that we can finish netting the strawberries before the birds start tucking into them! The wonderful think about being self-employed is that you can sneak off every now and then without having to justify yourself to anyone…except yourself, of course. So, when himself had to go to Cornwall at the end of last week on business I thought I would tag along for the ride. 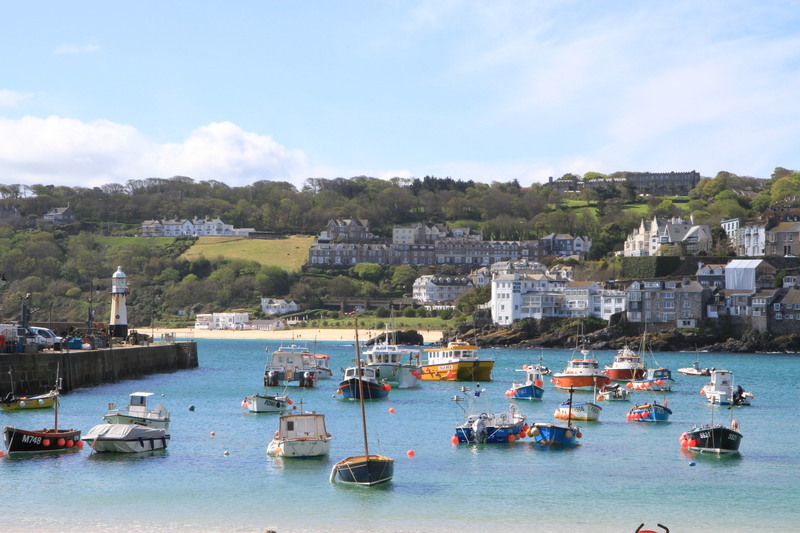 While he was busy doing chit-chat, chit-chat, coffee, coffee, chit-chat with customers, I took myself off and got snappy happy around St Ives with my new camera. What joy. Blue sky, blue sea and tonnes of lovely golden sand. 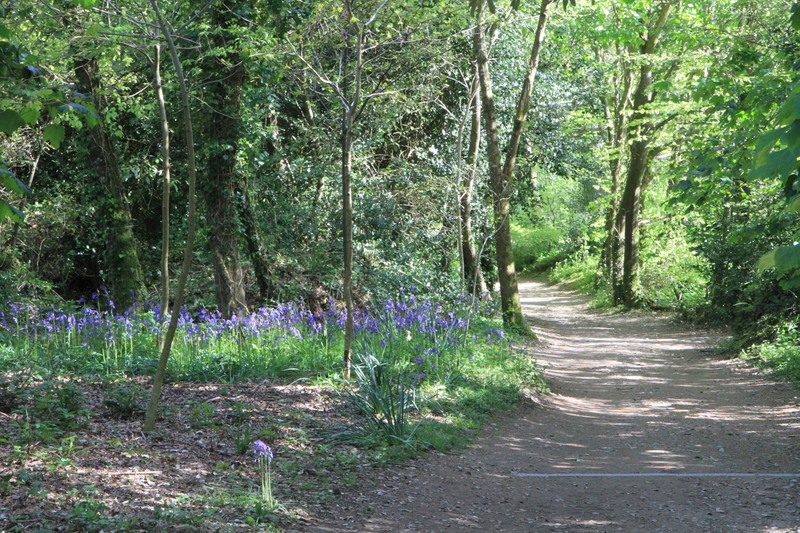 On the way back we decided to call in at the Lost Gardens of Heligan near St Austell as we’d heard they were worth a visit. 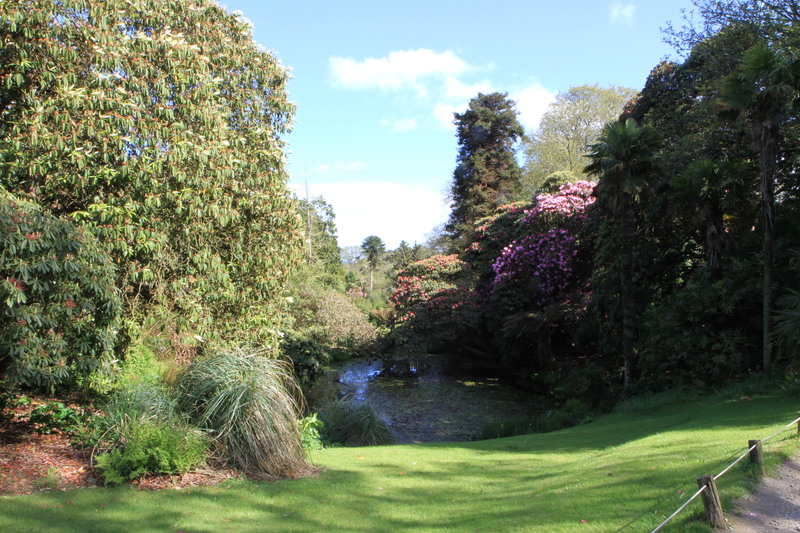 Although late in the afternoon, we decided it was still worth visiting as it was a chance to see the rhododendrons in flower and we also wanted to see the greenhouses. 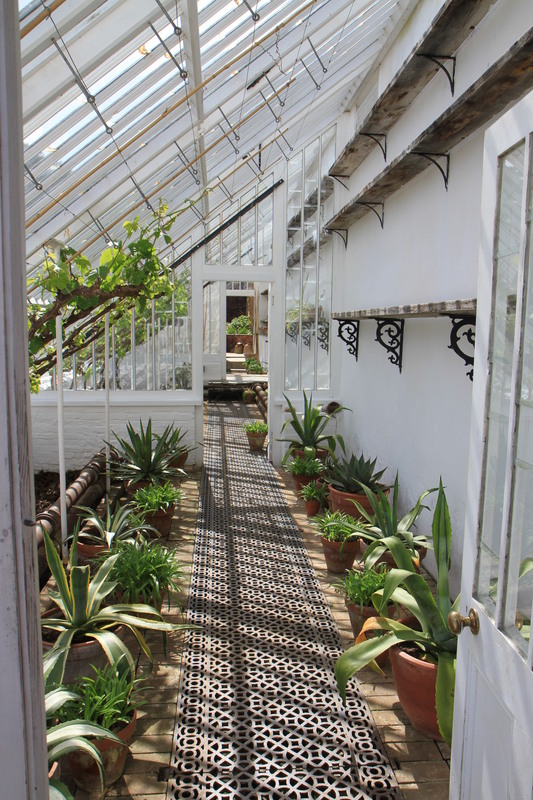 Well, there are greenhouses and then there are greenhouses. These have all been restored to their original state and they are absolutely fantastic. 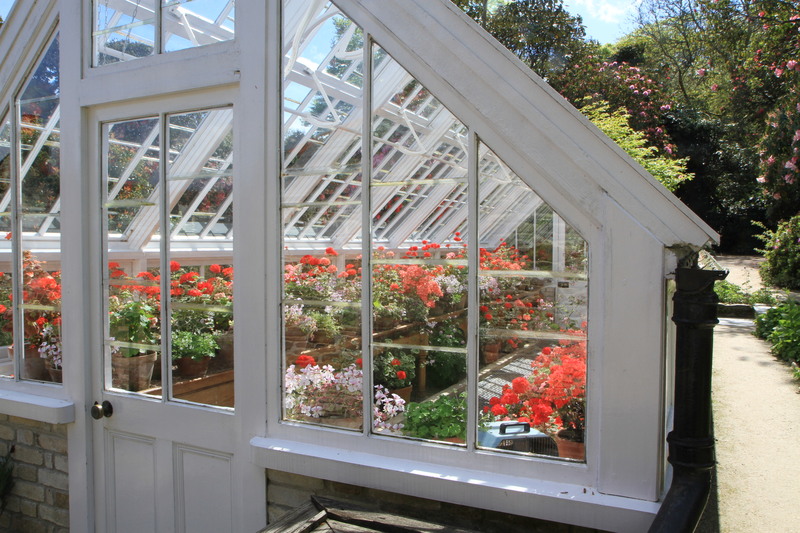 Take a look at these…these are greenhouses to die for. 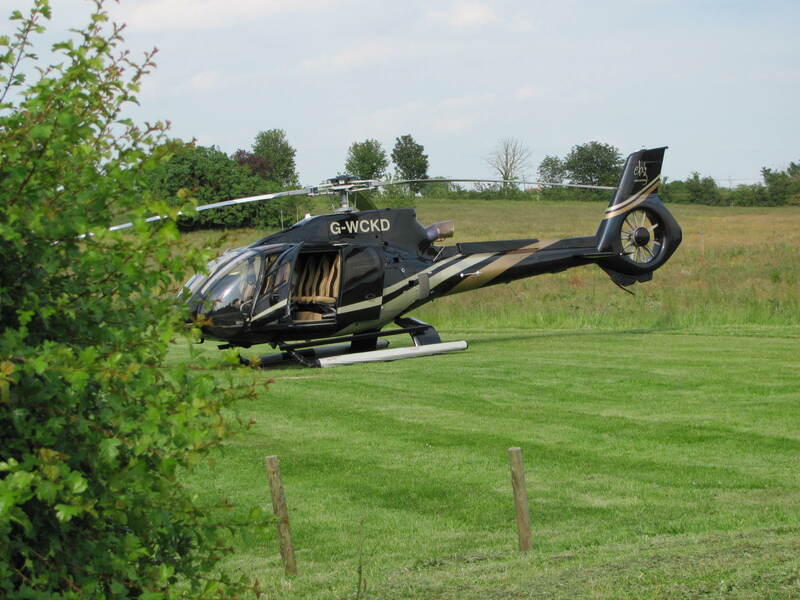 All this before you even get to the veg patch…well, patch doesn’t come anywhere close, it’s more of a veg acre. I have never seen so many canes in such neat rows. 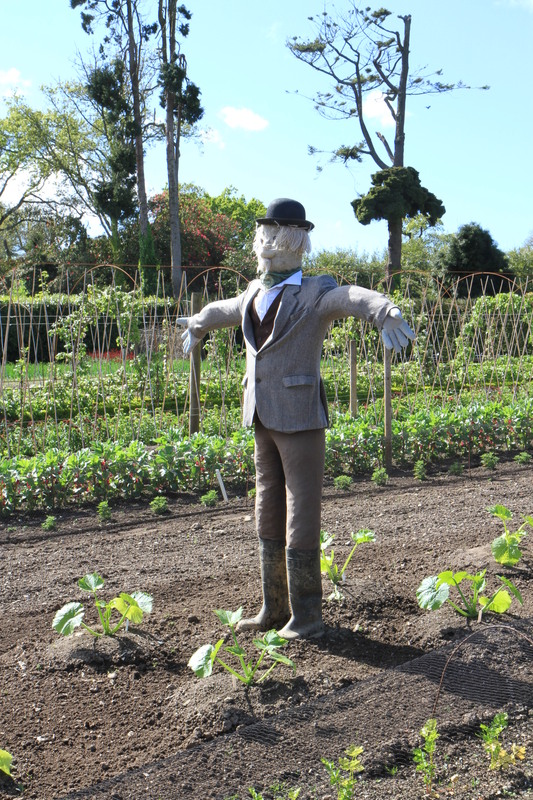 Even the scarecrow had been to Specsavers, sporting a trendy pair of bifocals on the end of his nose! 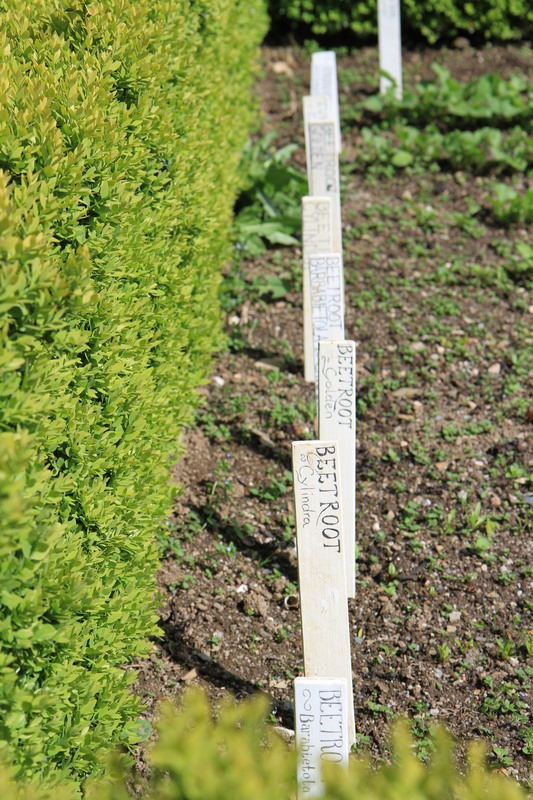 It’s not only the plants that are fascinating, it’s the way that everything has been planted in the neatest of rows and someone has painstakingly painted and handwritten every label. 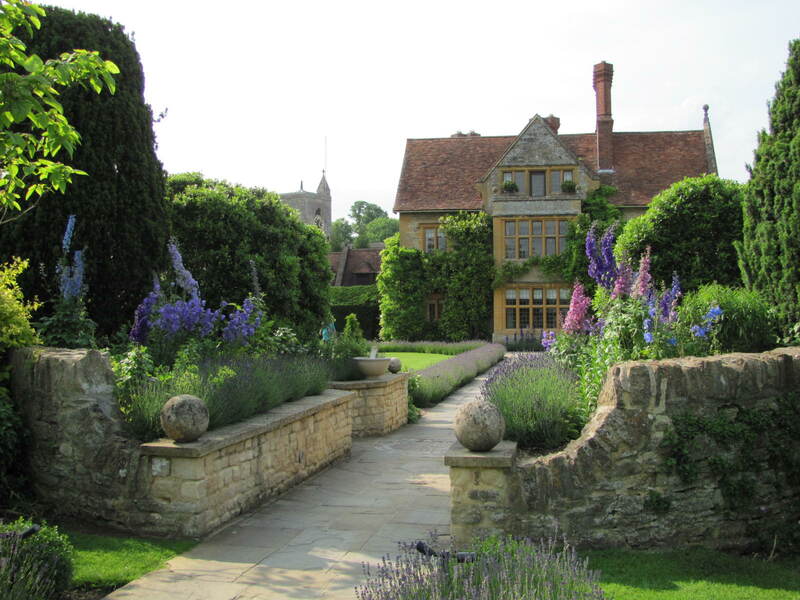 Every detail in this garden has been restored perfectly. This is definitely a place to come back to when you can spend the whole day soaking it all in. 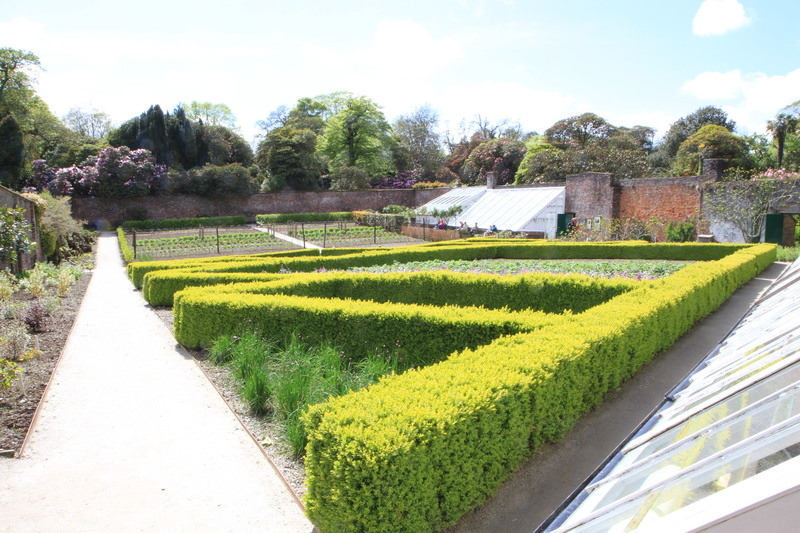 We only really had time to look at the greenhouses, the vegetable garden and some of the jungle garden. We’ll definitely be back. For the whole day. With a picnic. 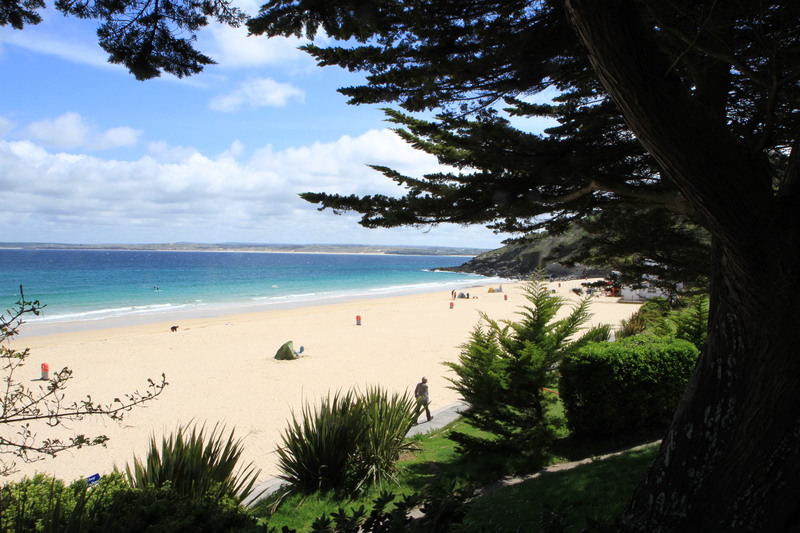 If you happen to find yourself in Cornwall this summer, I would thoroughly recommend a visit. Allow yourself plenty of time to explore. 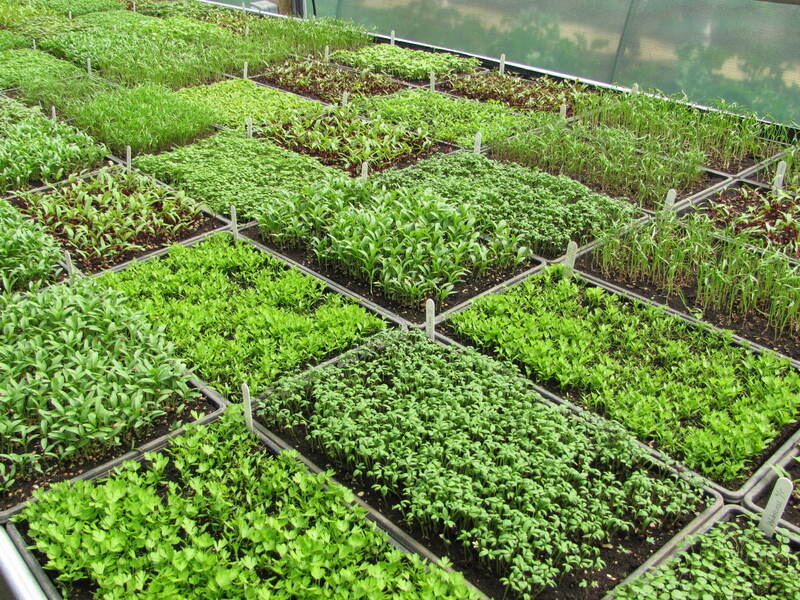 I can guarantee there will be plenty of, “Wow, look at that”, “If only I had a greenhouse like this”, “This veg garden is just…”, “OMG look at this” moments – so it’s definitely worth the £10 to get in. 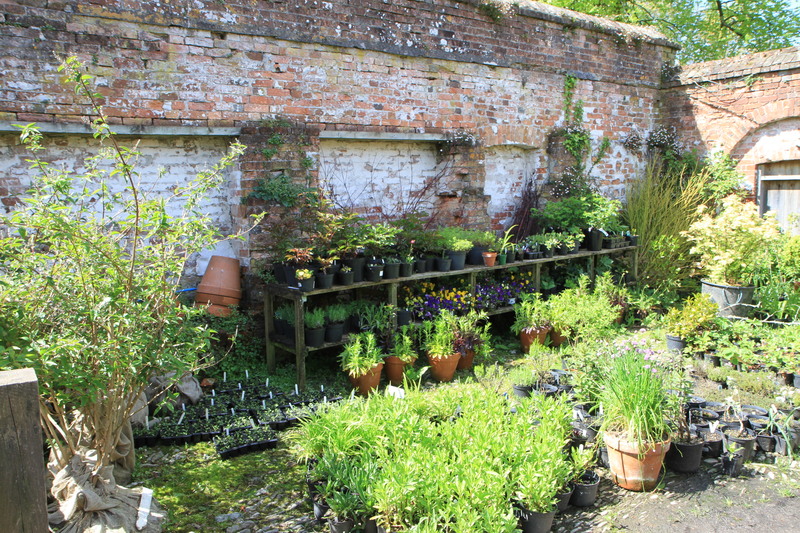 The plant centre, cafe and farm shop are an added bonus, as always. 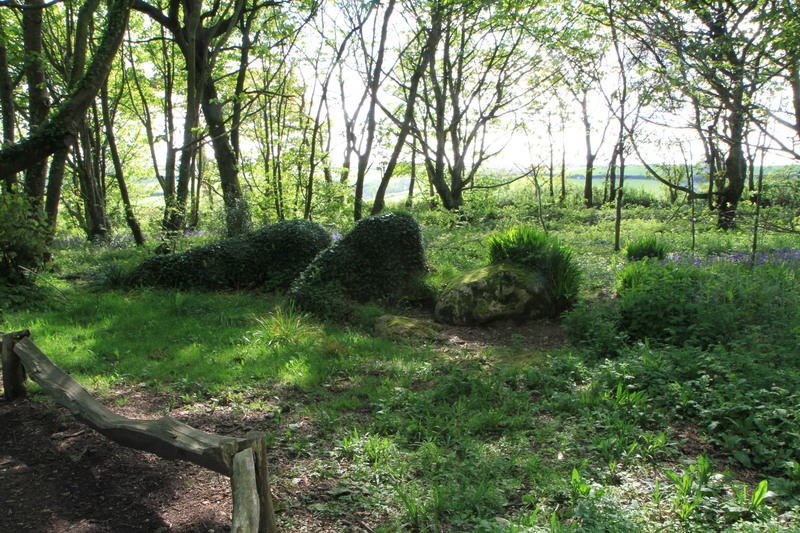 Here are a few more pictures to tempt you. 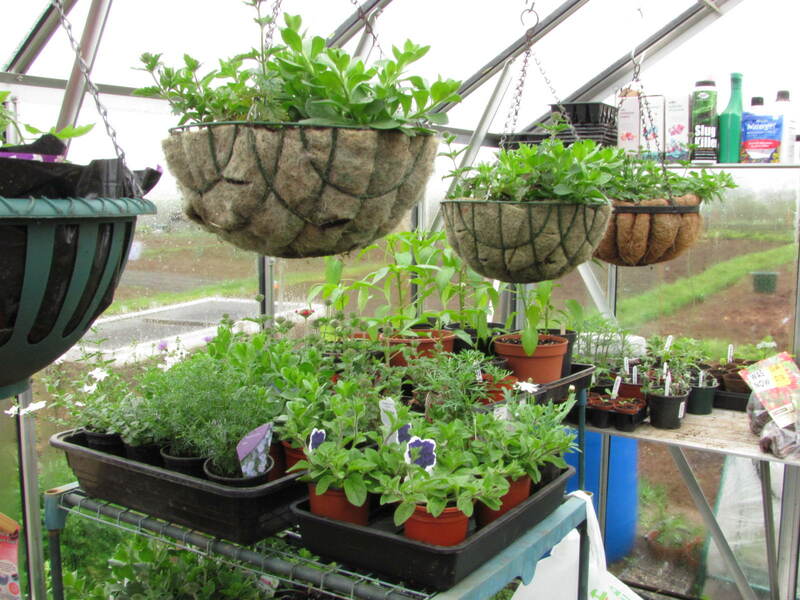 Another week gone by, another hanging basket hung in the overcrowded greenhouse, and … another wet day! Will we ever be able to plant anything out? There are so many jobs to be done but this grotty weather is stopping us from getting on with most of them. We planted another lot of peas last night. This is our third attempt: the first lot got eaten by mice, the second lot got drowned in the rain, so hopefully third time lucky. It seems that if things don’t get eaten, they get washed away. The sprouts and Sticcolli got bombarded by the storms a few weeks ago so we had to dismantle the cloches. This was good news for the pigeons, who managed to peck their way through the lot before we had chance to protect them. 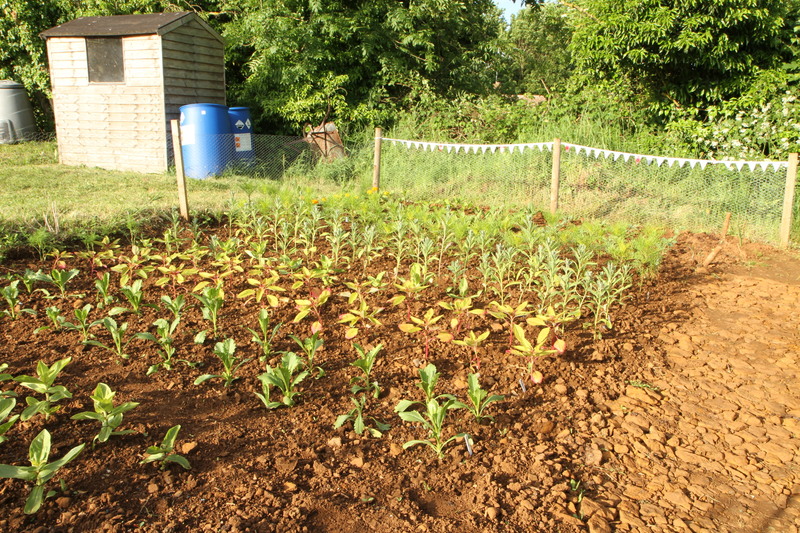 A second batch has now been planted and surrounded by a very complex system of gold cotton – ha, try pecking your way through that without getting stuck!! Despite all of this, there are a few things that are doing well. 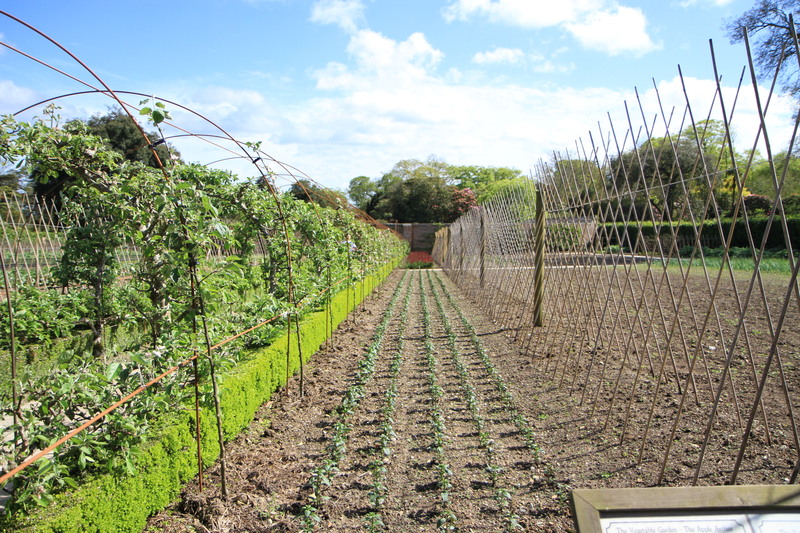 Many of the strawberries are in flower and looking very healthy, the currants all have currants starting to appear and the rhubarb is growing like wild-fire. 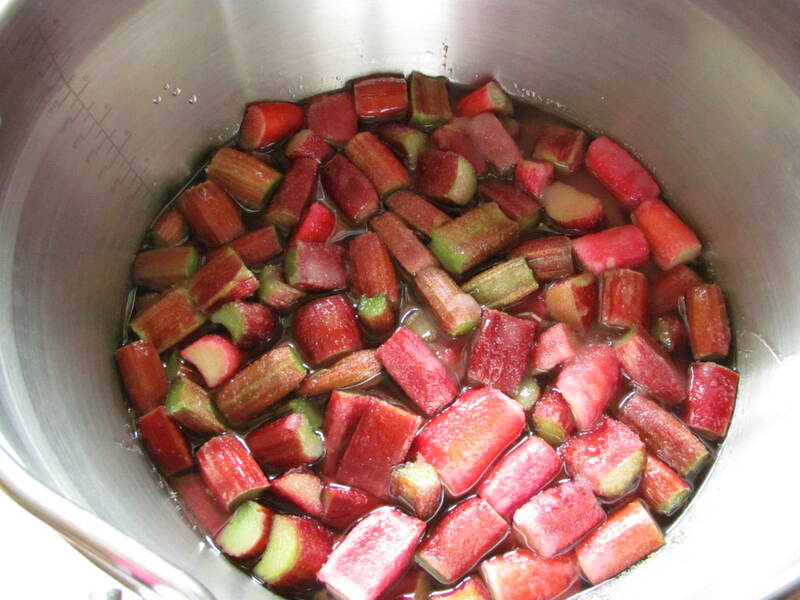 So, with a very soggy Bank Holiday Monday there was no option but to get creative in the kitchen with the rhubarb. 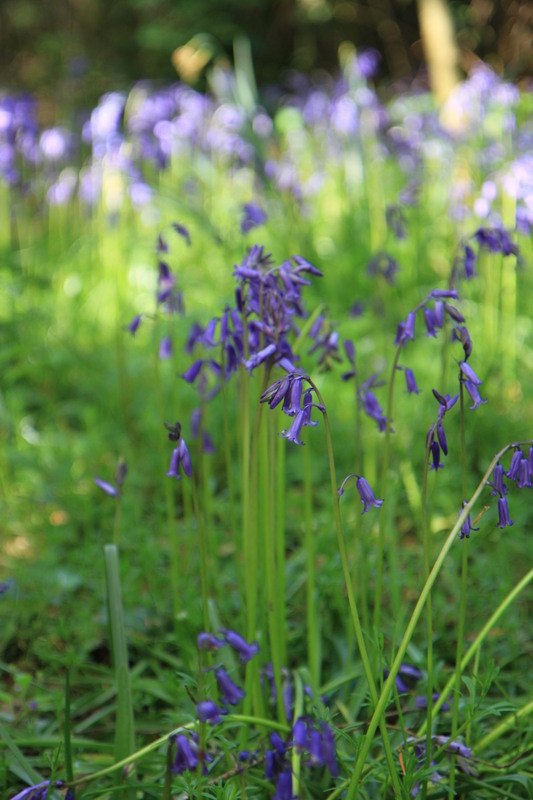 We were determined to pick it while it is young this year and make the most of it. Last year we were complete rhubarb novices and left it to grow far too long and it became woody. 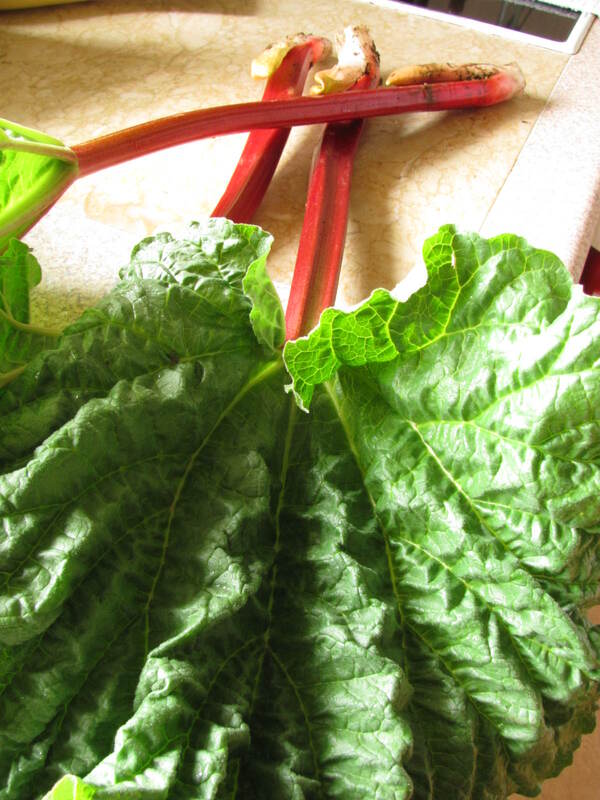 Anyway, we called in the rhubarb tester last week (my mother) who assured us it was just right for picking. She eats it raw – aghh! (that’s what growing up during the war does for you). Last year she spat it out, but this year she just kept munching – proof that it was fit for eating. It might look all a bit stringy at the moment but hopefully in 3 weeks time when I’ve strained it, it’ll be pure nectar. Could it be this year’s village show winner and help us retain that Vicarage Cup? Well, if that fails perhaps the Rhubarb and Orange Jam might be a winner. 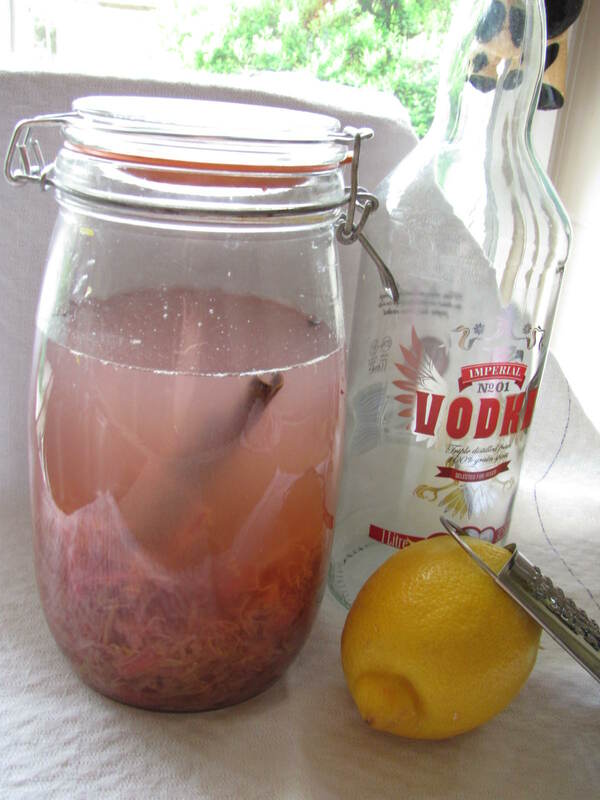 This is really tasty – a bit like marmalade but with that slightly sharp rhubarb taste. 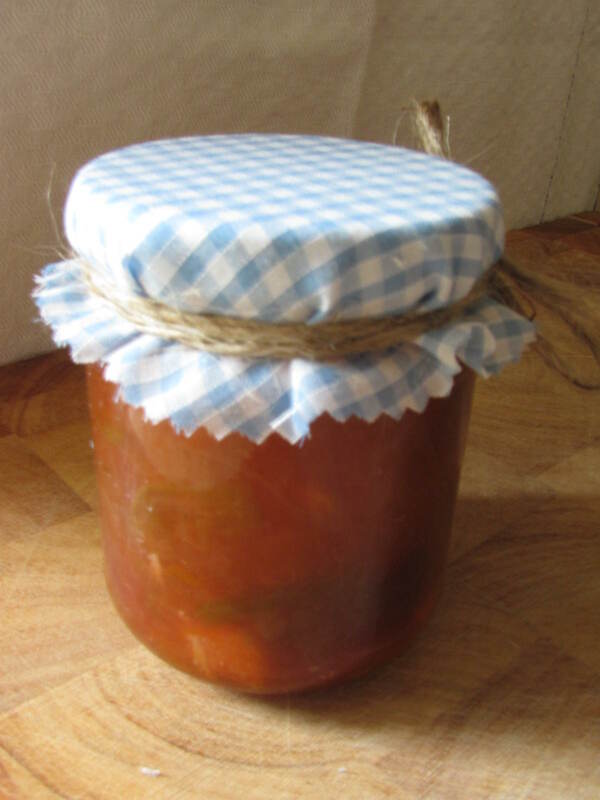 All we need to do now is to wait for a few more sticks to grow so that I can have a go at Rhubarb and Cardamon Chutney – Yum! What do you do when the heavy rain stops you from getting on the allotment? Hang around and wait for it to stop? No, you go shopping. Yes, that’s exactly what we did on Saturday. A thorough browse round Wilko and Homebase soon helped to brighten up the soggiest of days. A few bargains were had. It’s amazing how quickly you can fill a shopping basket when you didn’t really need anything! We managed to get some sweetcorn plants and two mini cucumbers from Homebase (these were on the list) and picked up some bargain dahlia tubers in the reduced section. 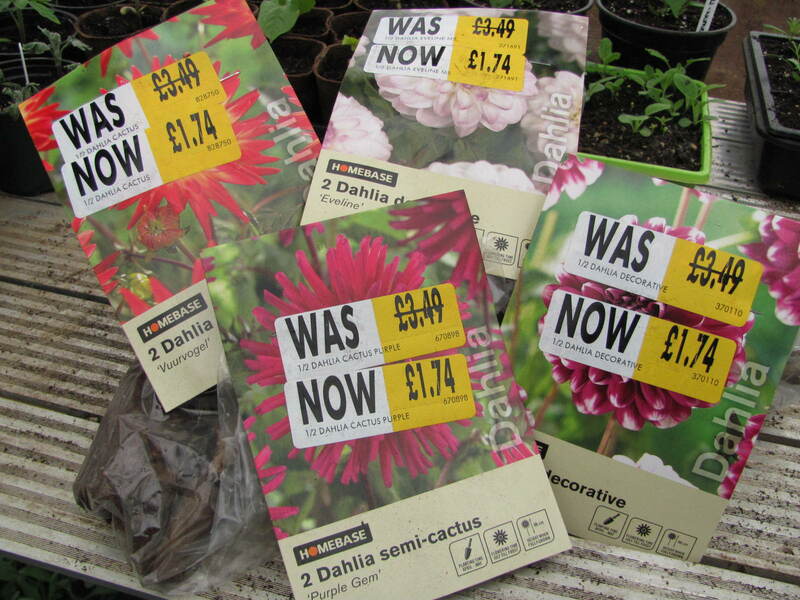 These were a definite bargain – £1.74 for two…so we got eight to go with the fifteen we bought last week from Sarah Raven. Do we need them all? No…but it’s hard to walk past a bargain, especially when they all had shoots on them. We spent the rest of Saturday camped out in the greenhouse with a flask of coffee, radio on, planting out our new purchases and testing out the watering can…lovely rose. 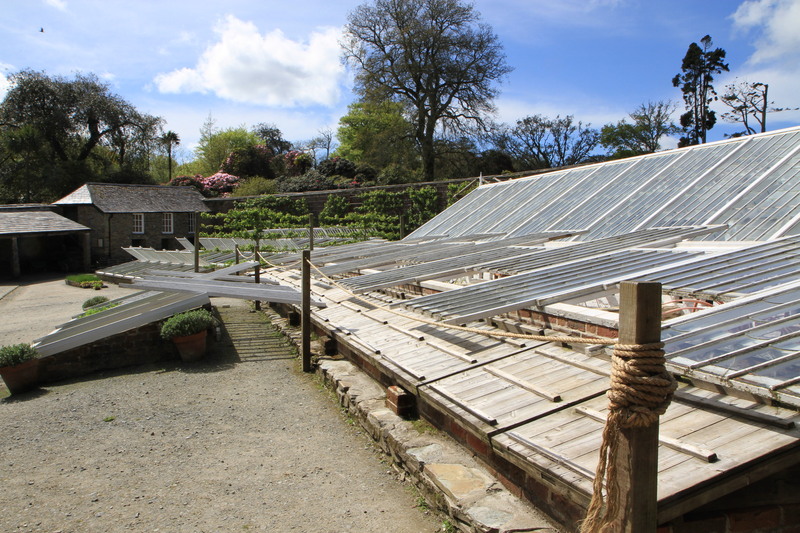 The greenhouse is now at the stage where a hard hat really needs to be issued at the door. 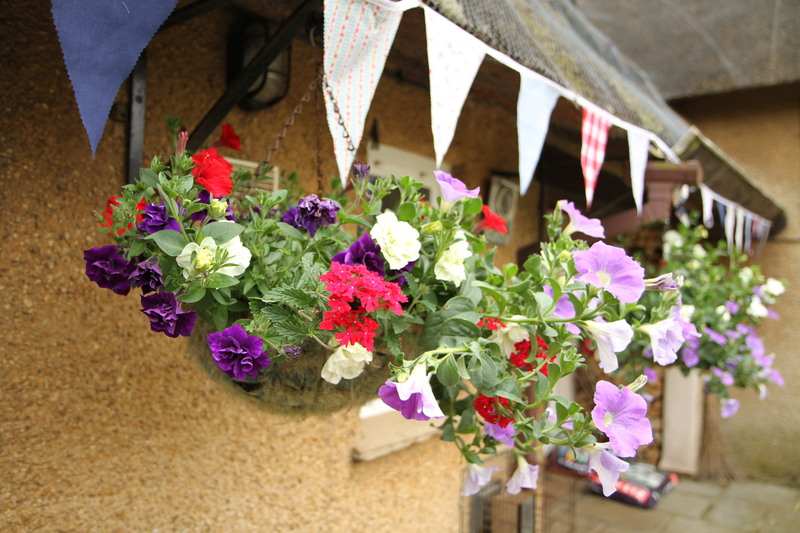 Having to negotiate your head around the twelve hanging baskets that are suspended from the roof is proving quite a challenge. 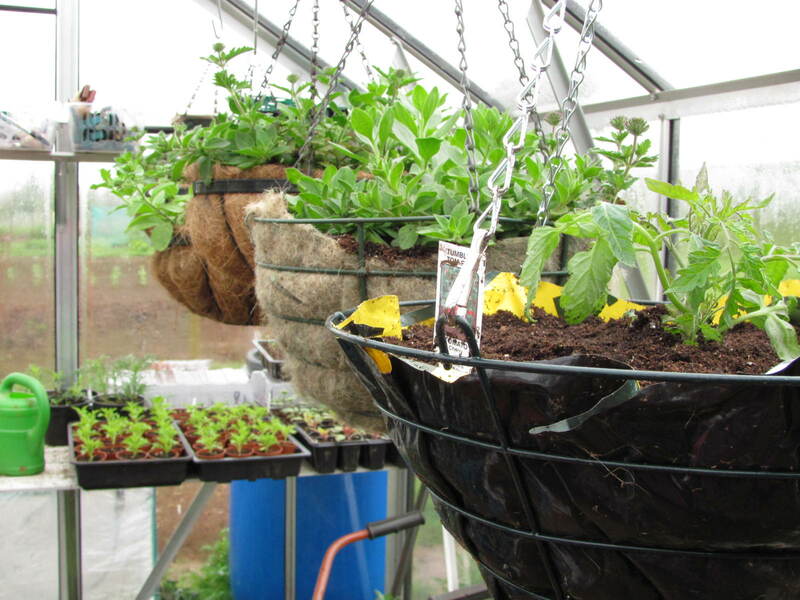 The Hanging Gardens of Babylon have nothing on our greenhouse!Everything’s just hanging around waiting for the decent weather to arrive, whenever that is. Even our heads have been replaced by baskets!! Even though not much could be done outside this weekend, a lot of progress has been made on the inside jobs: seedlings transplanted on, tubers potted up. We’ve even managed a bit of cooking: a batch of chilli jam and a very rich ‘Death by Chocolate’ cake. Well, with weather that makes you want to hang yourself, you might as well end it all with chocolate! Who’s had a picnic on our peas and a mange on our mange tout? Having set ourselves a whole list of jobs to do on Sunday, we were a bit disappointed to have only completed a couple of them by the end of the day. 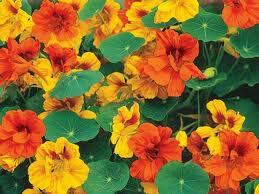 Still, the carrots are in and some nasturtium have been sown around the broad beans to help control any blackfly. 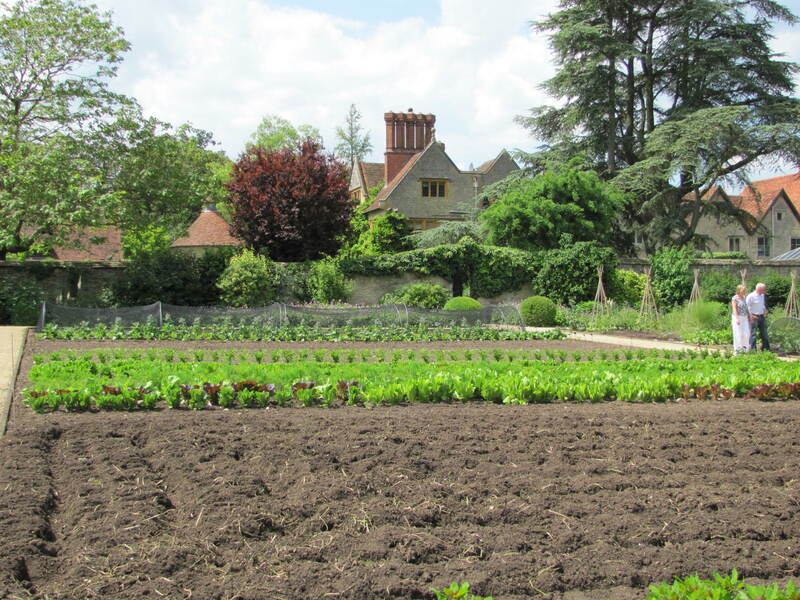 If it’s anything like last year, the broad beans will have come and gone long before the nasturtiums have sprung into action, but they do add a bit of colour in the veg patch…eventually. This is what they should look like. 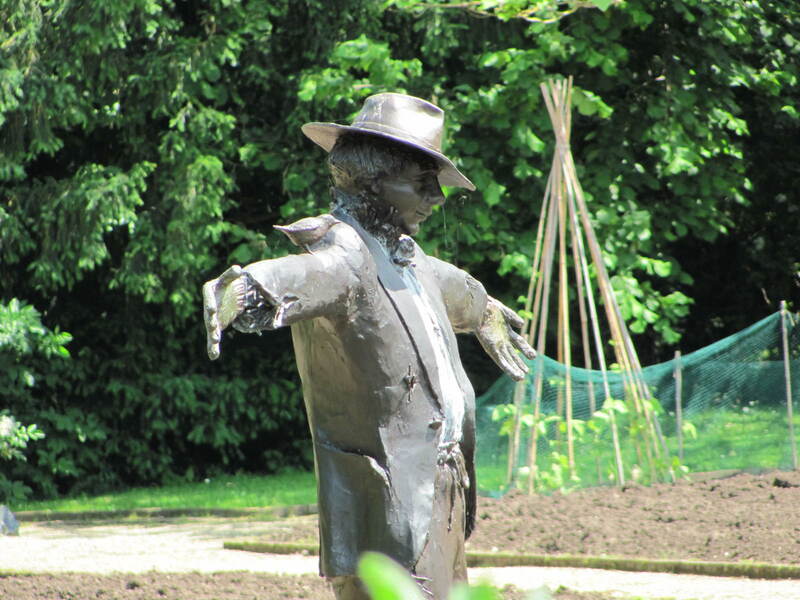 Whilst being so engrossed in our masterpiece construction, we failed to notice that something had pinched our peas. 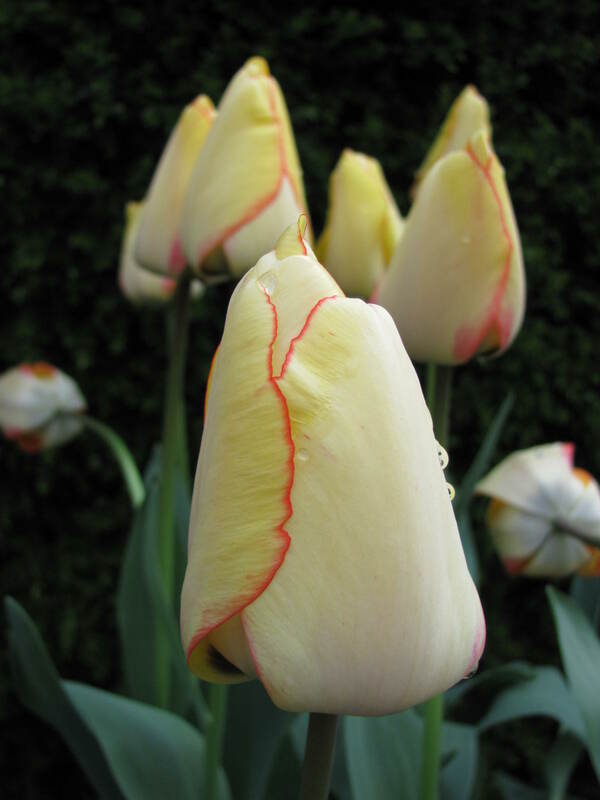 Himself had planted them the week before and had made quite a display of how neatly he had done so. Since he has finally understood the ‘piece of string attached to two wooden pegs = a straight line’ concept, his planting skills have come on leaps and bounds. Sadly, some cheeky mouse has decided to take the mickey and pinch every single pea seed without leaving a trace except empty holes where the seeds had been. 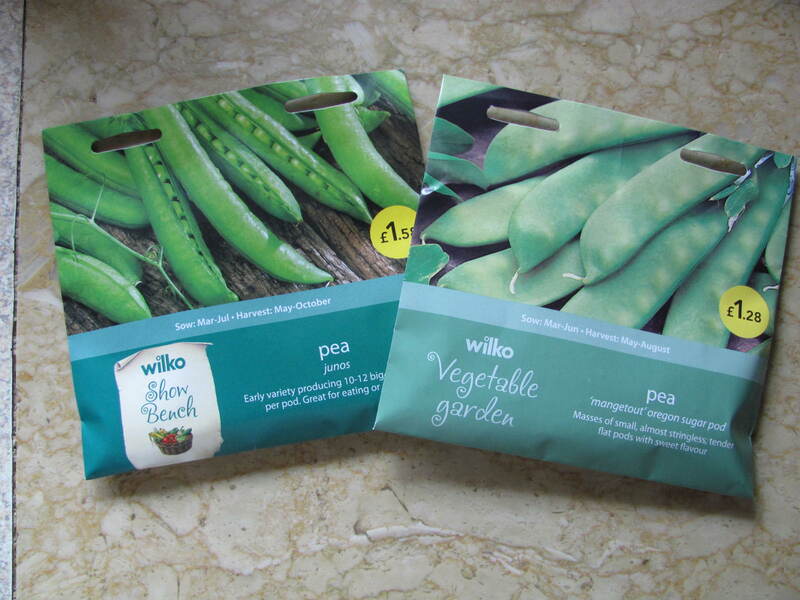 So, it was back off to Wilko to buy more seed today. This time we’re starting them off indoors – he’s not ‘aving ’em this time! No mouse is going to mange through these mange tout! 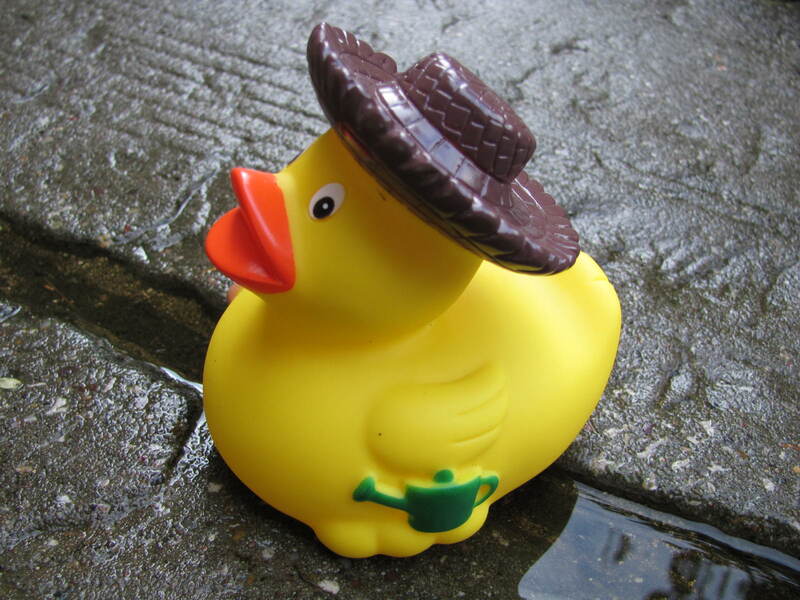 It’s pouring with rain today so not sure if we’ll get much done tonight, except pea planting. 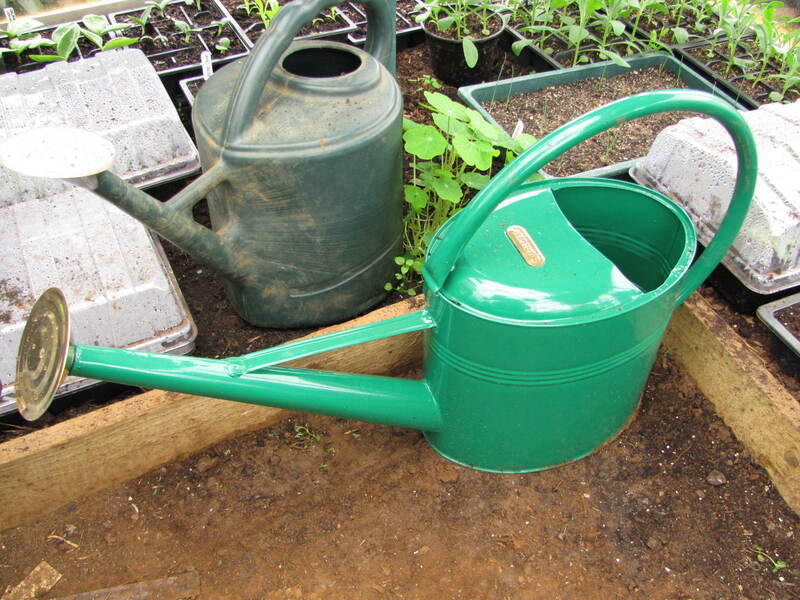 Still, it’s all helping to fill up those water butts. 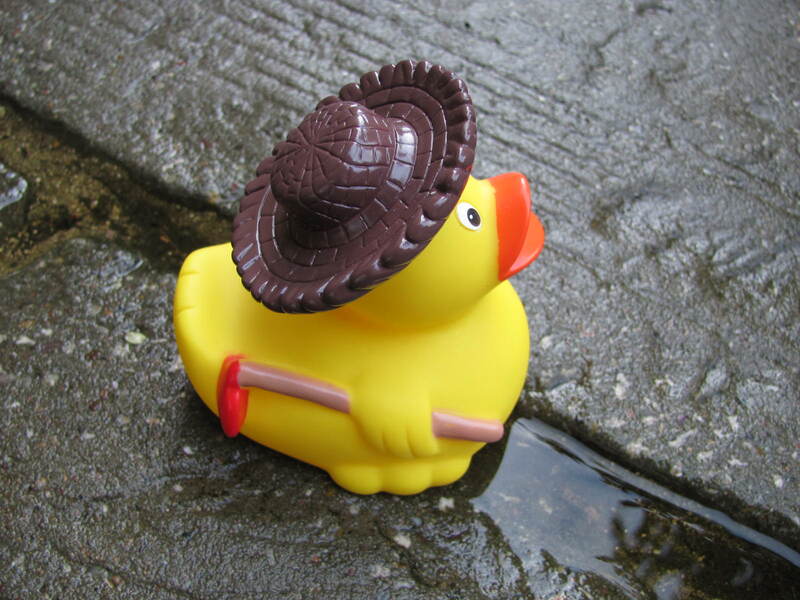 Not good digging weather for us, but apparently ducks don’t mind it! 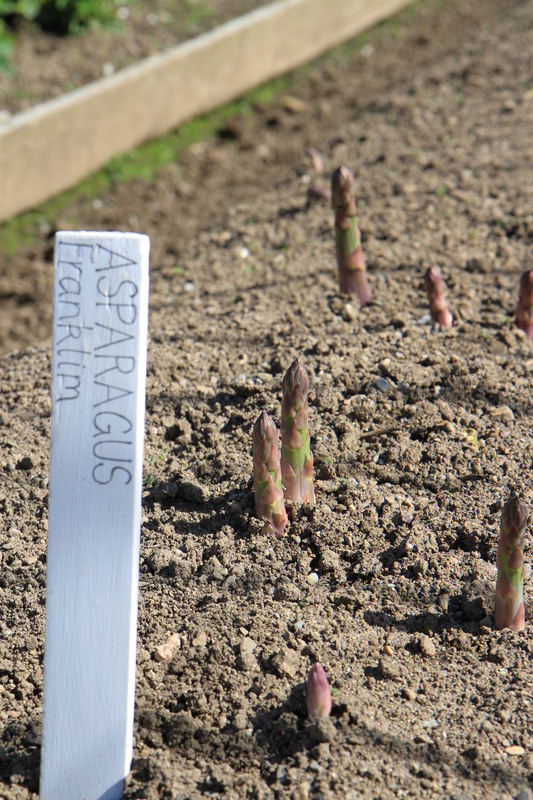 Well, it’s been a highly productive Easter weekend on the plot and in the garden. 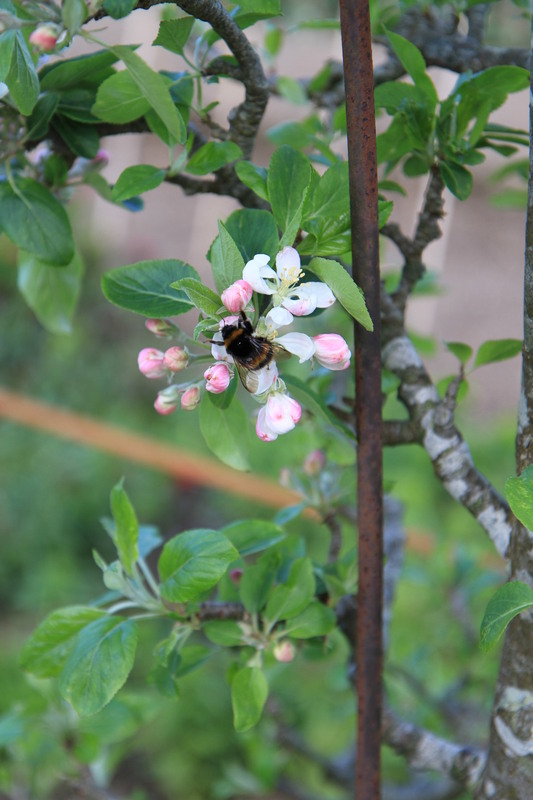 We set ourselves two major tasks that had to be completed before the holiday was over: putting in all the posts for the fruit trees at the allotment; and laying some slabs in the garden to rehouse the wheelie bins. Both jobs required some DIY skills so the weekend was doomed to have a certain level of grumpiness and disagreement attached to it! However, it was only the weather that turned out gloomy, the mood around the allotment and in the garden was all quite ok and all jobs have been completed. We’re now feeling quite smug with ourselves. 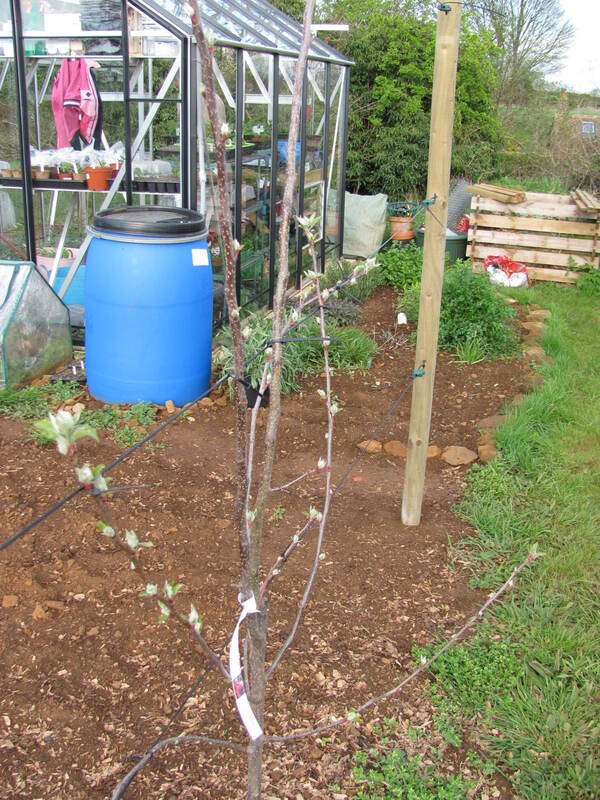 The 8ft posts have all been concreted in (thank goodness for Postcrete), wires attached and the fruit trees (two apples and a pear) are now nicely tied in and starting to look like proper espaliers. Apple tree tied to its very sturdy wires! 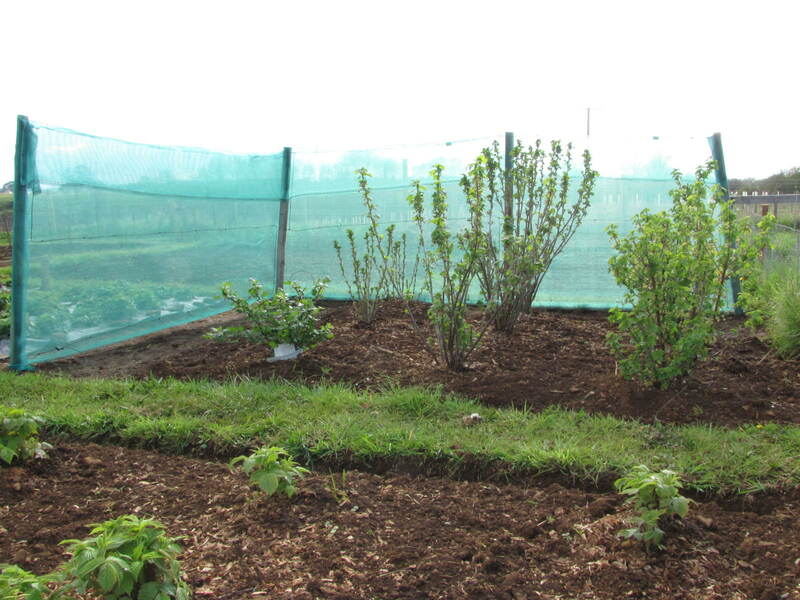 A windbreak has also been erected around the currant bushes to protect them. Although the posts aren’t particularly straight, hopefully the whole thing will do the job. Down in the garden, a few slabs have been laid so that the wheelie bins can be taken out of the shed. This frees up a bit more space for the more untidy members of the household to dump more crap! 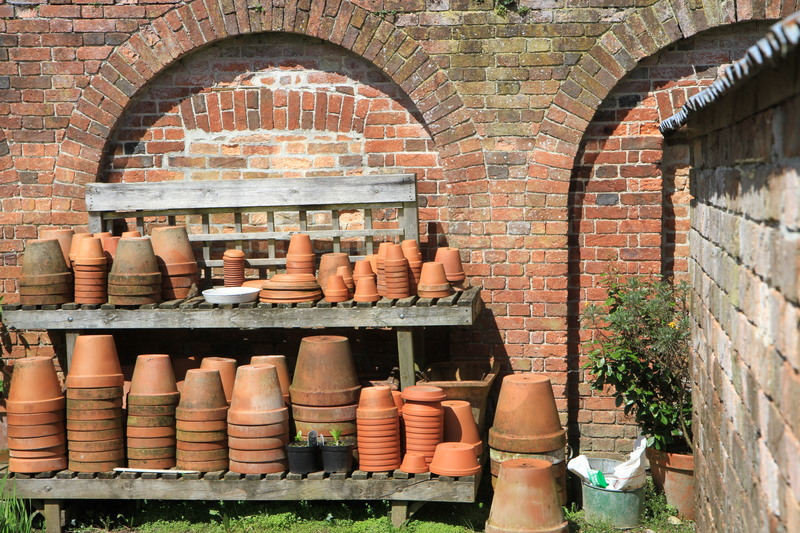 Although you can see floor space at the moment, in a week’s time it will again be littered with pots, recycling bottles and anything else that doesn’t have a proper home. On the growing front, everything is coming along nicely. 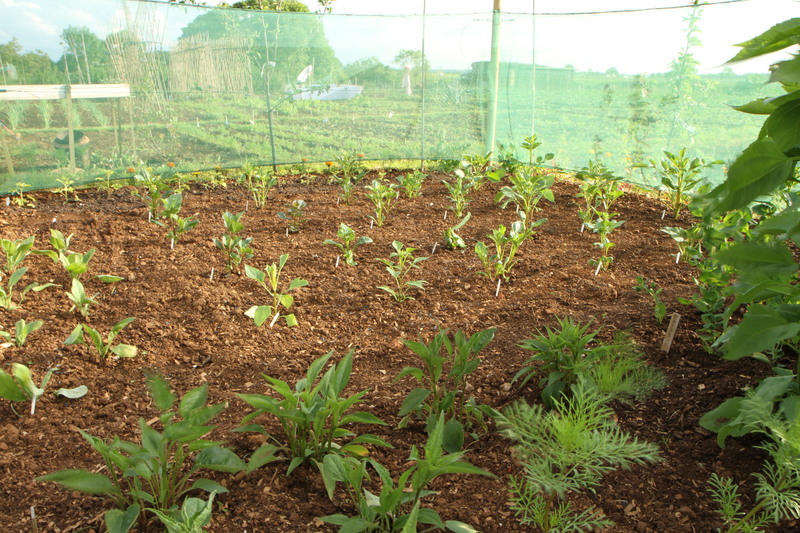 The spuds are all in, the onion seeds are growing well and some of the chillis are showing the first signs of flowers. 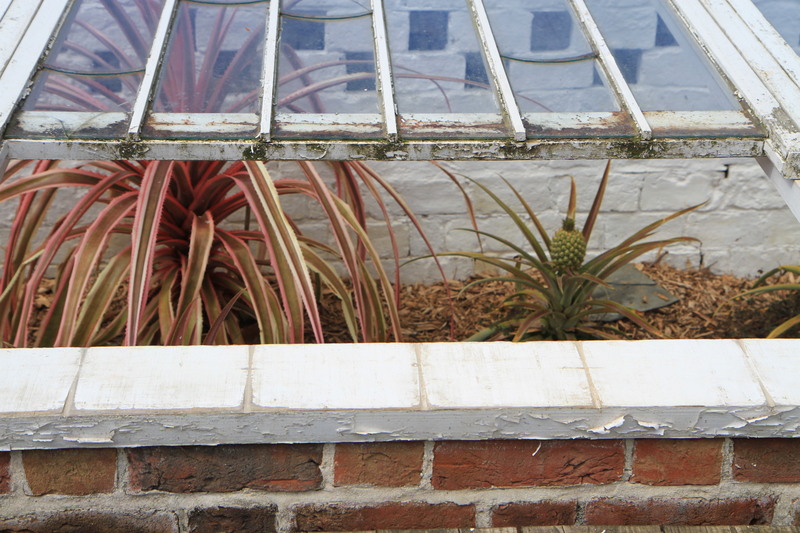 Space in the greenhouse is now at a premium and is about to get worse once I’ve potted on some of the seedlings. It’s all going to be a juggling act from here on in until everything can be planted in it’s final resting place. 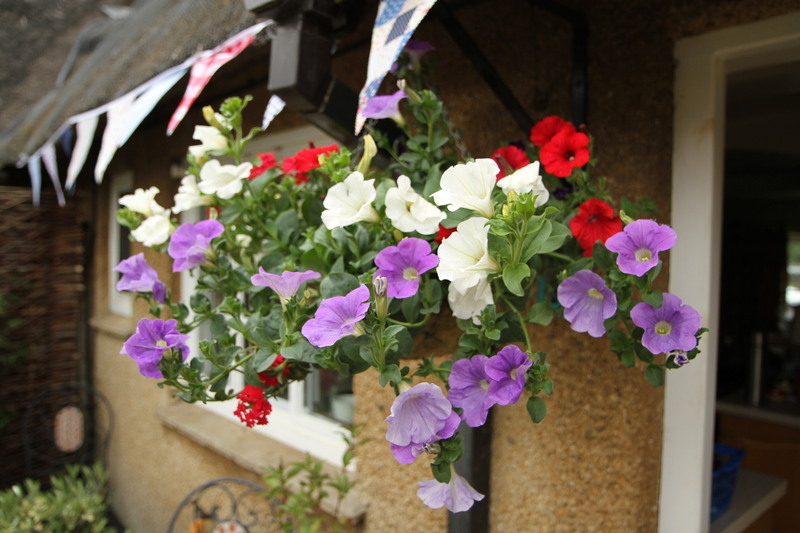 There is also huge excitement as we have just found out that the village are going to hold a garden and allotment Open Day on 5th July over the Jubilee weekend. That’s sent us into a complete panic about all sorts of things – will the plot be tidy enough? Will we have managed to get everything planted out in time? Whose going to provide the tea? Should we make cakes? What about bunting? You can’t have a Jubilee without bunting! 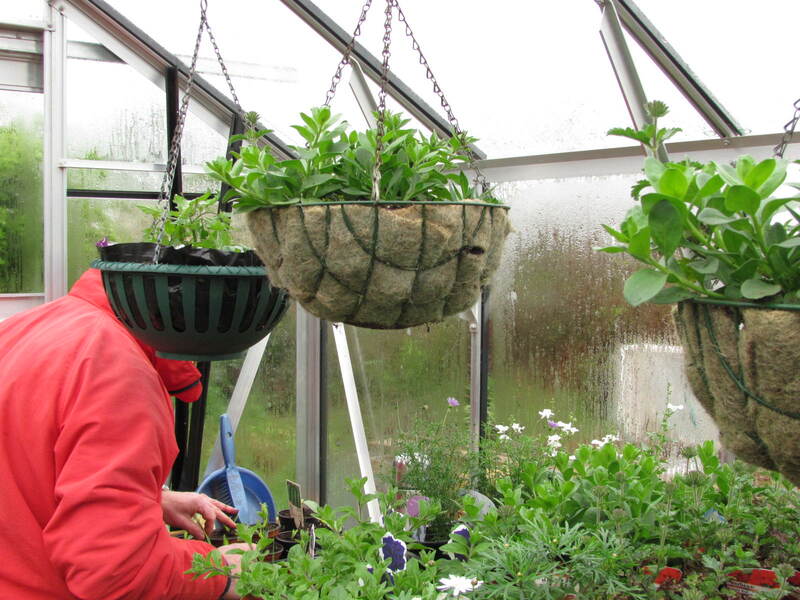 Amidst the excitement, work is now in progress on a seating area – this involves the use of the old polytunnel frame. It’s in the design stages at the moment but it won’t be long before saws and hammers are back out…watch this space!